A necessary element for a taking proper bath! 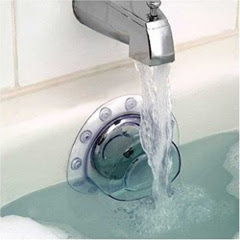 "Most baths have some sort of overflow “safety” drain or hole that is located on the top of the lever that stops your drain when pulled up. Now, while this IS good for safety, it is horrible for getting the water level of your bath tub anywhere near full, dixit Bloglander"